Fiber-rich carbohydrate foods such as vegetables, whole grains, legumes, and fruits should predominate in people’s diets; the naturally occurring sugars in these foods and in milk are acceptable because they are accompanied by many nutrients. In contrast, concentrated sweets such as candy, cola beverages and other soft drinks, cookies, pies, cakes, and other foods with added sugars add calories, but few other nutrients or fiber if any. The Dietary Guidelines offer clear advice to lower intake of added sugars. People who want to limit their use of sugar may choose from two sets of alternative sweeteners: sugar alcohols and nonnutritive sweeteners. Recent decades have seen a dramatic upward trend in consumption of added sugars. All kinds of sugary foods and beverages taste delicious, cost little money, and are constantly available, making overconsumption extremely likely. Though people are adding less sugar in the kitchen, food manufacturers are adding plenty to foods during processing. Soft drinks and other sugar sweetened beverages are the main source of added sugars in the diets of consumers. Most people can afford only a little added sugar in their diets if they are to meet nutrient needs within calorie limits. The World Health Organization has also taken a stand on sugar intake: consume no more than 10 percent of total calories from added sugars. The increase in sugar consumption has raised many questions about sugar’s effects on health. In moderate amounts, sugars add pleasure to meals without harming health. In excess, however, sugars can be detrimental. Mounting evidence links high intakes of added sugars with obesity and other chronic diseases. Sugars can also contribute to nutrient deficiencies by supplying energy without providing nutrients and to tooth decay, or dental caries. Over the past several decades, as obesity rates increased sharply, added sugars intake continues to increase—largely as high fructose corn syrup use, especially in beverages, surged. High-fructose corn syrup is composed of fructose and glucose in a ratio of about 50:50. Compared with sucrose, high-fructose corn syrup is less expensive, easier to use, and more stable. In addition to being used in beverages, high-fructose corn syrup sweetens candies, baked goods, and hundreds of other foods. The use of high-fructose corn syrup sweetener parallels unprecedented increases in the incidence of obesity. Excess sugar in the diet may be associated with more fat on the body. When they are eaten in excess of need, energy from added sugars contributes to body fat stores, raising the risk of weight gain. When total energy intake is controlled, however, moderate amounts of sugar do not cause obesity. Thus, to the extent that sugar contributes to an excessive energy intake, it can play a role in the development of obesity. The liquid form of sugar in soft drinks makes it especially easy to over consume calories. Swallowing liquid calories requires little effort. The sugar calories of sweet beverages also cost less than many other energy sources, and they are widely available. Also, beverages are energy-dense, providing more than 150 calories per 12-ounce can, and many people drink several cans a day. The convenience, economy, availability, and flavors of sugary foods and beverages encourage over consumption. Added sugars also influence the balance between the body’s fat-making and fat-clearing mechanisms, a balance that plays critical roles in the development of heart disease. Fructose stimulates the body’s fat-making pathways and impairs its fat-clearing pathways in ways that could lead to an unhealthy buildup of blood lipids (triglycerides). To determine whether added sugars raise blood lipids, researchers studied more than 6000 healthy adults. They observed that people with higher intakes of added sugars had blood lipid values indicating an increased risk of heart disease. In another study, young adults who consumed more sugar-sweetened beverages had greater abdominal fatness, more harmful blood lipids, and higher blood pressure than those who drank fewer. It may not take an unrealistic amount of added sugars to cause this effect. As little as the equivalent of one or two fructose- or sucrose-sweetened soft drinks a day consumed for only a few weeks significantly changed blood lipids in ways that may pose risks to the heart and arteries. Empty-calorie foods that contain lots of added sugars such as cakes, candies, and sodas provide the body with glucose and energy, but few, if any, other nutrients. 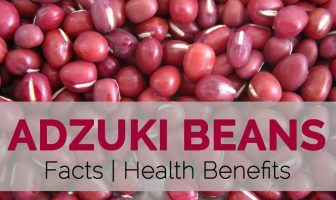 By comparison, foods such as whole grains, vegetables, legumes, and fruits that contain some natural sugars and lots of starches and fibers also provide protein, vitamins, and minerals. A person spending 200 calories of a day’s energy allowance on a 16-ounce soda gets little of value for those calories. In contrast, a person using 200 calories on three slices of whole-wheat bread gets 9 grams of protein, 6 grams of fiber, plus several of the B vitamins with those calories. For the person who wants something sweet, a reasonable compromise might be two slices of bread with a teaspoon of jam on each. The amount of sugar a person can afford to eat depends on how many discretionary calories are available beyond those needed to deliver indispensable vitamins and minerals. By following the USDA Food Patterns and making careful food selections, a typical adult can obtain all the needed nutrients within an allowance of about 1500 calories. Some people have more generous energy allowances. For example, an active teenage boy may need as many as 3000 calories a day. If he eats mostly nutritious foods, then he may have discretionary calories available for cola beverages and other “extras.” In contrast, an inactive older woman who is limited to fewer than 1500 calories a day can afford to eat only the most nutrient-dense foods—with few, or no, discretionary calories available. Added sugars contribute to nutrient deficiencies by displacing nutrients. For nutrition’s sake, the appropriate attitude to take is not that sugar is “bad” and must be avoided, but that nutritious foods must come first. If nutritious foods crowd sugar out of the diet, that is fine—but not the other way around. As always, balance, variety, and moderation guide healthy food choices. Any carbohydrate-containing food, including bread, bananas, or milk, as well as sugar, can support bacterial growth in the mouth. These bacteria produce the acid that eats away tooth enamel. Of major importance is the length of time the food stays in the mouth. This, in turn, depends on the composition of the food, how sticky the food is, how often a person eats the food, and especially whether the teeth are brushed afterward. Total sugar intake still plays a major role in caries incidence; populations whose diets provide no more than 10 percent of calories from sugar have a low prevalence of dental caries. The Dietary Guidelines for Americans recommend a combined approach to prevent dental caries—practicing good oral hygiene, drinking fluoridated water, and reducing the amount of time sugars and starches are in the mouth. Moderate sugar intakes are not harmful and make eating more enjoyable. Thus, the Dietary Guidelines for Americans urge people to “reduce the intake of calories from added sugars.” These added sugar calories (and those from solid fats and alcohol) are considered discretionary calories—and most people need to limit their intake. The USDA Food Patterns suggest about 8 teaspoons of sugar, about the amount in one 12-ounce soft drink, in a nutrient-dense 2200-calorie eating pattern (the margin lists other amounts). The USDA Food Patterns recommendations represent about 5 to 10 percent of the day’s total energy intake. As noted earlier, the World Health Organization agrees that people should restrict their consumption of added sugars to 10 percent or less of total energy. The DRI committee did not set a Tolerable Upper Intake Level for added sugars, but, as mentioned, excessive intakes can interfere with sound nutrition and good health. Few people can eat lots of sugary treats and still meet all of their nutrient needs without exceeding their calorie allowance. Instead, the DRI committee suggests that added sugars should account for no more than 25 percent of the day’s total energy intake. For a person consuming 2000 calories a day, 25 percent represents 500 calories from added sugars—quite a lot of sugar. Perhaps an athlete in training whose energy needs are high can afford the added sugars from sports drinks without compromising nutrient intake, but most people would do better following recommendations to limit added sugar consumption to less than 10 percent of the day’s total energy intake. These portions of sugar all provide about the same number of calories. Some are closer to 10 calories (for example, 14 calories for molasses), whereas some are more than 20 calories (22 calories for honey), so an average figure of 16 calories is an acceptable approximation. The accompanying glossary presents the multitude of names that denote sugar on food labels. Use less table sugar when preparing meals and at the table. Use sugar calories to sweeten nutrient-dense foods (such as oatmeal) instead of consuming empty-calorie foods and beverages (such as candy and soda). Replace empty-calorie-rich regular sodas, sports drinks, energy drinks, and fruit drinks with water, fat-free milk, 100% fruit juice, or unsweetened tea or coffee. Use sweet spices such as cinnamon, nutmeg, allspice, or clove. Select fruit for dessert. Eat less cake, cookies, ice cream, other desserts, and candy. If you do eat these foods, have a small portion. Warm up sweet foods before serving (heat enhances sweet tastes). Read the Nutrition Facts on labels to choose foods with less sugar. Compare the unsweetened version of a food (such as corn flakes) with the sweetened version (such as frosted corn flakes) to estimate the quantity of added sugars. Read the ingredients list to identify foods with little or no added sugars. Brown sugar: Refined white sugar with molasses added; percent pure sucrose. Confectioner’s sugar: Finely powdered sucrose; 99.9 percent pure. Corn sweeteners: Corn syrup and sugar solutions derived from corn. Corn syrup: A syrup, mostly glucose, partly maltose, produced by the action of enzymes on cornstarch. It may be dried and used as corn syrup solids. Dextrose, anhydrous dextrose: Forms of glucose. Evaporated cane juice: Raw sugar from which impurities have been removed. High-fructose corn syrup (HFCS): A widely used commercial caloric sweetener made by adding enzymes to cornstarch to convert a portion of its glucose molecules into sweet-tasting fructose. Honey: A concentrated solution primarily composed of glucose and fructose; produced by enzymatic digestion of the sucrose in nectar by bees. Invert sugar: A mixture of glucose and fructose formed by the splitting of sucrose in an industrial process. Sold only in liquid form and sweeter than sucrose, invert sugar forms during certain cooking procedures and works to prevent crystallization of sucrose in soft candies and sweets. Malt syrup: A sweetener made from sprouted barley. Maple syrup: A concentrated solution of sucrose derived from the sap of the sugar maple tree, mostly sucrose. This sugar was once common but is now usually replaced by sucrose and artificial maple flavoring. Molasses: A thick, brown syrup left over from the refining of sucrose from sugarcane. The major nutrient in molasses is iron, a contaminant from the machinery used in processing it. Raw sugar: The first crop of crystals harvested during sugar processing. Raw sugar cannot be sold in the United States because it contains too much filth (dirt, insect fragments, and the like). Sugar sold as “raw sugar” is actually evaporated cane juice. Turbinado (ter-bih-NOD-oh) sugar: Raw sugar from which the filth has been washed; legal to sell in the United States. White sugar: Granulated sucrose or “table sugar,” produced by dissolving, concentrating, and recrystallizing raw sugar; 99.9 percent pure. What is the difference between honey and white sugar? Honey, like white sugar, contains glucose and fructose. The difference is that, in white sugar, the glucose and fructose are bonded together in pairs, whereas in honey some of them are paired and some are free single sugars. When you eat either white sugar or honey, though, your body breaks all of the sugars apart into single sugars. It ultimately makes no difference, then, whether you eat single sugars linked together, as in white sugar, or the same sugars unlinked, as in honey; they will end up as single sugars in your body. Honey does contain a few vitamins and minerals but not many. Honey is denser than crystalline sugar, too, so it provides more energy per spoonful. Honey may offer some health benefits, however: It seems to relieve nighttime coughing in children and reduce the severity of mouth ulcers in cancer patients undergoing chemotherapy or radiation. Some sugar sources are more nutritious than others, though. Consider a fruit such as an orange. The orange provides the same sugars and about the same energy as a tablespoon of sugar or honey, but the packaging makes a big difference in nutrient density. The sugars of the orange are diluted in a large volume of fluid that contains valuable vitamins and minerals, and the flesh and skin of the orange are supported by fibers that also offer health benefits. A tablespoon of honey offers no such bonuses. Of course, a cola beverage, containing many teaspoons of sugar, offers no advantages either. The indicated portion of any of these foods provides approximately 100 calories. Notice that—for a similar number of calories and grams of carbohydrate—milk, legumes, fruits, grains, and vegetables offer more of the other nutrients than do the sugars. In moderation, sugars pose no major health threat except for an increased risk of dental caries. Excessive sugar intakes may displace needed nutrients and fiber and may contribute to obesity. A person deciding to limit daily sugar intake should recognize that it is the added sugars in concentrated sweets, which are high in calories and relatively lacking in other nutrients that should be restricted. Sugars that occur naturally in fruits, vegetables, and milk are acceptable. The sugar alcohols are carbohydrates, but they trigger a lower glycemic response and yield slightly less energy (2 to 3 calories per gram) than sucrose (4 calories per gram) because they are not absorbed completely. The sugar alcohols are sometimes called nutritive sweeteners because they do yield some energy. One exception, erythritol, cannot be metabolized by human enzymes and so is calorie free. The sugar alcohols occur naturally in fruits and vegetables; they are also used by manufacturers to provide sweetness and bulk to cookies, sugarless gum, hard candies, and jams and jellies. Unlike sucrose, sugar alcohols are fermented in the large intestine by intestinal bacteria. 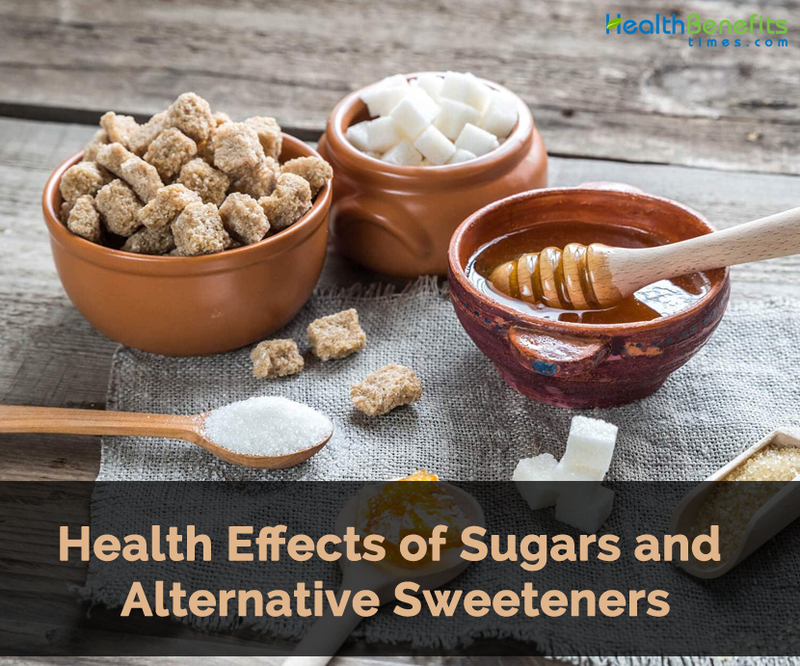 Consequently, side effects such as gas, abdominal discomfort, and diarrhea make the sugar alcohols less attractive than the non-nutritive sweeteners. The advantage of using sugar alcohols is that they do not contribute to dental caries. Bacteria in the mouth metabolize sugar alcohols much more slowly than sucrose, thereby inhibiting the production of acids that promote caries formation. They are therefore valuable in chewing gums, breath mints, and other products that people keep in their mouths awhile. The Food and Drug Administration (FDA) allows food labels to carry a health claim about the relationship between sugar alcohols and the non-promotion of dental caries as long as certain FDA criteria, including those for sugar-free status, are met. The non-nutritive sweeteners sweeten with minimal or no carbohydrate or energy. The human taste buds perceive many of them as extremely sweet, so just tiny amounts are added to foods to achieve the desired sweet taste. The FDA endorses non-nutritive sweeteners as safe for use over a lifetime within Acceptable Daily Intake (ADI) levels. Like the sugar alcohols, non-nutritive sweeteners make foods taste sweet without promoting tooth decay. Whether the use of non-nutritive sweeteners promotes weight loss or improves health by reducing total calorie intakes is not known with certainty. Some research even suggests that their use may promote weight gain through unknown mechanisms; these are topics of current research. When people reduce their energy intakes by replacing sugar in their diets with non-nutritive sweeteners and then compensate for the reduced energy at later meals, energy intake may stay the same or increase. Using non-nutritive sweeteners will not automatically lower energy intake; to successfully control energy intake, a person needs to make informed diet and activity decisions throughout the day.